playing the first 10-holes at 3-under par. But Stricker had a few hiccups after that point and he needed to sink a 25-foot bogey putt to save an even par 72. 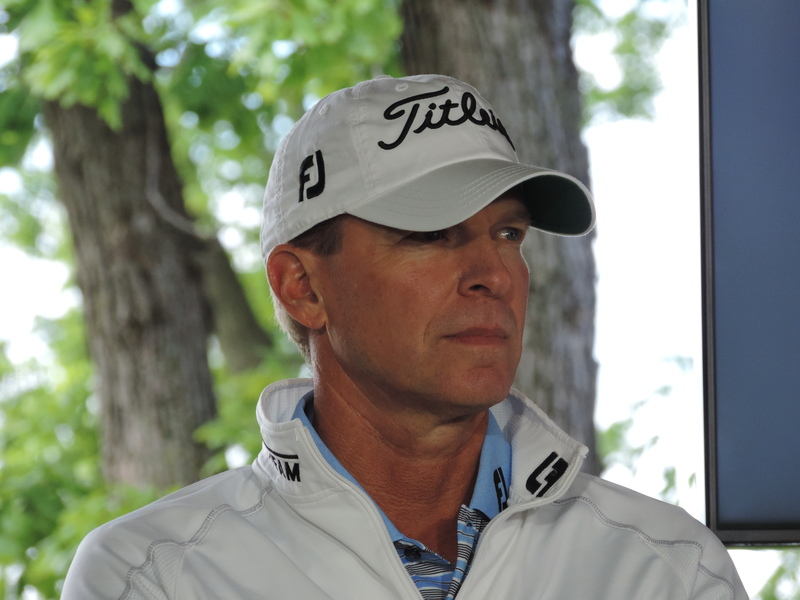 Still, the 47-year-old Stricker is only 4-shots behind leader Bill Haas, who shot a 4-under par 68 and finished day one with a 1-shot lead over defending champion Adam Scott and 2012 champion Bubba Watson.